Have a new or used appliance but not sure how to set it up? Give us a call and we will install your appliance for you! If you have a broken or malfunctioning appliance, let us help! We offer complete repair and reconditioning on all major brands. We are Orlando’s premiere appliance repair and installation service, specializing in all major appliances, digital appliances, and some small appliances. Take a look at some of our new and used appliances in our photo gallery. Fill out our simple form and we will get back to you with a quote. We’re here to help, give us a call regarding your appliance needs. Is your refrigerator giving you trouble? Are you looking for a company	to install appliances in your home? At Vic’s Appliances Repair,	we can offer you a wide variety of services for any appliance you may	own. Our hard-working and dependable appliance repair specialist are ready	to provide you with practical solutions at fair prices! 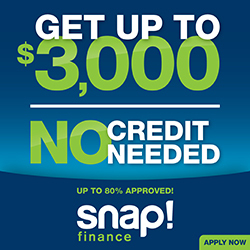 Call our office	at (407) 766-2086 for more information! Check out just some of our inventory in	our gallery! We have much more in stock so stop by today! Repair Services for All Appliances! Our goal is to provide you with the most outstanding repair services available	on the market! No matter how minor or severe your appliance issues, we	can help. Our service technicians are equipped with the experience and	tools necessary to service just about any appliance, regardless of the	size. Visit our Orlando repair center to get immediate solutions for all	your appliance related needs. If you live in Orlando and are thinking about bringing your broken appliances	to a technician with experience, we are here for you. We have provided	expert services for many of our neighbors throughout Orlando and can work	toward remedying your issue. Our workers are friendly and reliable technicians	who have countless solutions to the many problems they have encountered. Regardless of the appliance related issue you are facing, you can be sure	that your appliances are in capable hands when you hire one of our technicians	at Vic’s Appliances Repair. We always provide you with professional	service and do prompt, steady work. You can be sure that we will suggest	only the exact services that are needed—nothing extra or unnecessary! Your satisfaction is our main concern. If you are interested in our services,	give us a call today at (407) 766-2086. Give us a brief description of your appliance repair needs.